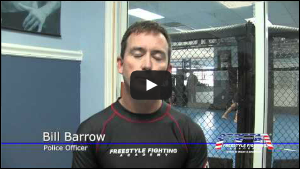 Try Mixed Martial Arts in Miami-Dade for 30 Days Free! Learn How to Fight, Gain Confidence and Discipline, Get in Amazing Shape, and Join the Best Team in Florida! If you are inquiring about our KIDS PROGRAM or our WOMEN-ONLY BOOTCAMP, then please visit www.BestFreeTrial.com for more information. South Florida, call now at 305-225-4610 and setup an appointment to join up and start training with David Avellan and the rest of the team at our MMA academies! 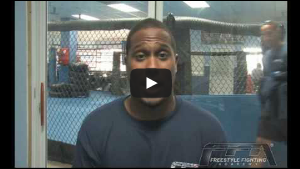 If you live in south Florida… YOU OWE IT TO YOURSELF to find out what is going on at the Freestyle Fighting Academy! Kimbo trained there? UFC Veterans?! Yeah, we dropped that offer right on the table! We’re going to give you 30 Days to try this out for FREE! There is no catch. There is nothing to sign or buy. We are hands down the leading Miami mixed martial arts gym. We are the largest and the best. We are seriously that confident. It’s a straight up 30 Days Free to try it out – nothing to sign or buy. If after 30 days you don’t like our program, you can walk away. If after sixty days at the Freestyle Fighting Academy, if you can tell us that you have not seen any improvement – we will give you your money back! and make an appointment for your FREE private lesson! YOU HAVE JUST FOUND AN OPPORTUNITY! Hello! I'm Marcos Avellan, one of the head instructors of the Freestyle Fighting Academy. You have taken the time to find this website and read a few of my testimonials, so please give me a few more minutes of your time to explain to you the opportunity I am presenting you. I GIVE YOU MY WORD that I am offering something that will change YOUR life forever - as it has for thousands of people who have joined our school. But my personal accomplishments as a competitor have been overshadowed by my success as a coach and a martial arts instructor. I LOVE teaching and helping people accomplish their goals – that is why I teamed up with my brother David Avellan to create FFA. I could go on and on about what makes our school stand out as the best. For instance, upon joining FFA, every student gets interviewed. Why did you join? What are your short and long term goals? What steps are we going to take to achieve them? Then we do a series of fitness tests. Every four months, we meet back with each student and update how he/she has been doing with their goals. We perform the same fitness tests and see the improvements. Using your portfolio, you will be able to see your steady progress towards your goals – and our instructors will be able to stay on top of your progress. How many martial art schools do you know that are this dedicated to seeing each of their students progress? If you ask other martial art schools for your “portfolio” – what you are probably going to find is nothing but your contract. ANYONE Can Begin Training At The FFA! Men, women, and kids have excelled in our style of martial arts. You can be short, tall, thin, big – it doesn’t matter. Our instructors will teach you and develop a style that works best for you. It’s never too late to start training. The average age of our adult program is about 27 years old, with a bunch of students over age 40. Absolutely no experience is required to begin your training. You have never done a day of exercise in your life? No problem! You do not have to be in shape to begin training at our academy – most people who begin are not. At FFA, our instructors have years of specialized training in physical fitness, along with their martial arts expertise, and will develop a program specifically designed for you. We have helped MANY students lose weight and get into shape. Our system of martial arts and self-defense has been proven time and time again by our instructors and students. Our instructors, all professional fighters with many years of training, have utilized our techniques in the cage and in the ring – at the national and international level. The difference between joining our academy and other academies is that with us, you know that the techniques we are teaching you work – since we have applied them before in actual no holds barred fights. We are 100% confident that our style of mixed martial arts is the ultimate in self-defense. 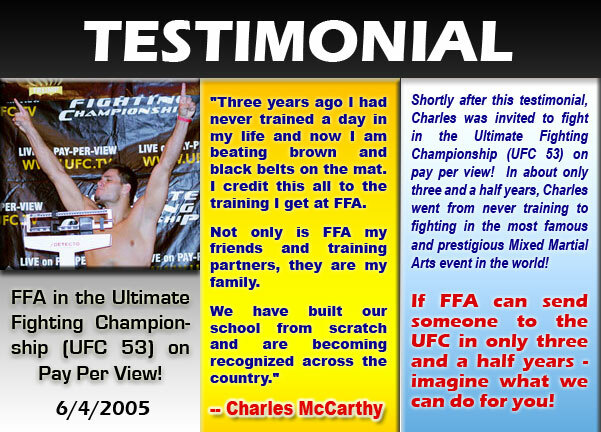 At FFA, we teach REAL Mixed Martial Arts (MMA) and Self-Defense. Our kickboxing is world class, our wrestling is world class, and our submission grappling is world class. 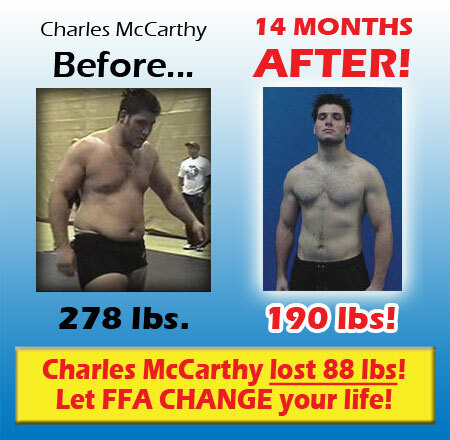 Why train kickboxing at one gym, jiujitsu at another gym, self defense at another gym… when you can do it all at FFA! What do I mean by that? There are many incredible jiu-jitsu grapplers that have never done a day of formal kickboxing in their life! And they have such a confidence in their martial arts style, that they are willing to fight in MMA competitions – yet have never trained with proper coaching in striking. So now in their own gyms, when they are preparing for their fight, they engage in sparring sessions… what sort of quality striking can you expect? To each their own… I have no problem with that… my problem is when these same guys start advertising themselves as Mixed Martial Arts schools… well, it is not MY problem… it is YOUR problem if you join up with them! Sadly, most “MMA” schools are severely lacking proper training and credentials in all three groups… You may find a head instructor that is a Gracie Jiu-Jitsu black belt but has no credentials in kickboxing or wrestling… or you will find a gym with talented strikers but no jiu-jitsu black belt present… or often you will find a “MMA” school that doesn’t have an expert in any of the three areas I just described! A jack of all trades but a master of none! Kimbo Slice Trained At FFA! 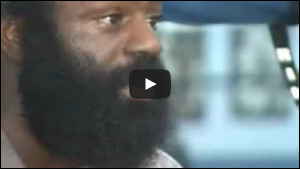 Taped on May 2007 - Kimbo went on to win his pay per view fight versus former Boxing World Champion Ray Mercer in the 1st round by submission! 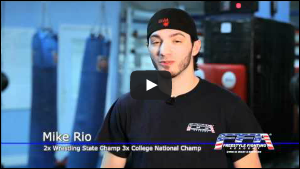 Instructor David Avellan wins his BodogFIGHT TV Debut! 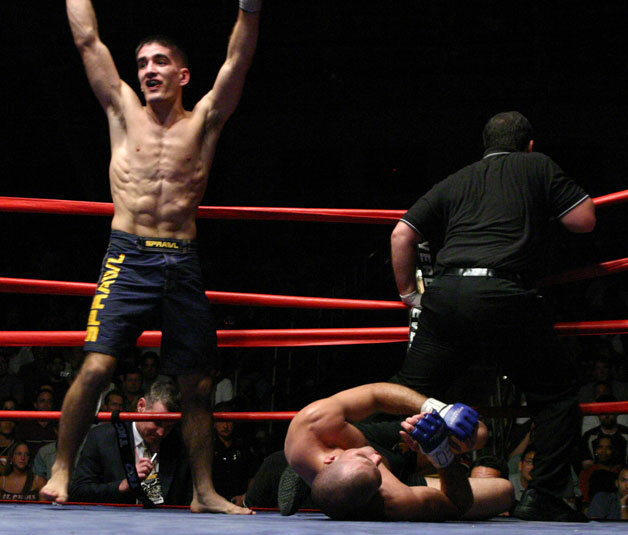 On June 2007, one of FFA's head instructors, David Avellan, fought on BodogFight. The show was accessible to millions of homes across the world! His opponent was French fighter Antony Rea, who is very well known for his excellent kickboxing and groundwork. This was David's second MMA fight - for Antony this was his nineteenth professional bout! The fight was an absolute WAR! Typing a description of the fight wouldn't do justice to the effort put forth by both fighters... why read a description when you can watch it for yourself! Andre Galvao is a multiple time BJJ Black Belt World Champion, ADCC 2011 Grand Champion, and a successful MMA fighter in Strikeforce. Anthony LaPointe - Lost 45lbs In 6 Months! 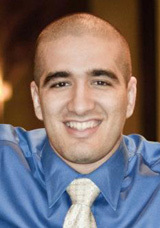 Darren Aponte - Lawyer With A Passion For Real Martial Arts! Alex Weisberg - Came For Self Defense But Learned A Lot More! Trisha Fisher - Proud Mom Of Two Loves FFA For Her Children! World Class Striking — Our kickboxing coaches Marcos Avellan and David Avellan have been coached and trained extensively for years under world renowned trainer Eric “El Tigre” Castanos. El Tigre is a 3-time kickboxing World Champion and boxing coach of World Champion boxer Jermain Taylor. Furthermore, coaches Marcos Avellan, David Avellan, Chevenne Moreno, and Kevin Perez finished a one month intensive Muay Thai Instructor Course at Tiger Muay Thai in Thailand. Our coaches have learned from the best and have applied it successfully in their own professional fights! Mediocre Striking — A lot of MMA gyms have decorated and proven jiu-jitsu practitioners; however, their striking is often mediocre at best. They spend years and years developing their submissions but just a few months to a year learning striking from a non-qualified coach… and then they pass it on to you! World Class Takedowns — You will find amazing wrestlers and judo practitioners at FFA. FFA is known around the country for possessing very strong takedowns and its instructors have utilized them against the world’s best submission wrestlers! FFA Head Instructors learned to wrestle from certified wrestling coaches, Division I College Wrestlers, Judo Black Belts, and world class wrestlers! We have had students that were members of international teams and NCAA national champions! Weak Takedowns — Unfortunately, a lot of grapplers learn their takedowns from Brazilian Jiu-Jitsu… and any educated grappler can tell you that BJJ has weak takedowns – their specialty is once the fights hits the ground… not before! Just watch their classes, their advanced students begin all their submission matches from their knees! This is a practice only done by beginners at FFA – all our students with over three months training begin from their feet. And if a MMA school does have strong takedowns – sometimes they end up not having good jiu-jitsu… or bad striking. World Class Ground Grappling — All of our head instructors are certified Brazilian Jiu-Jitsu Black Belts and are known worldwide for their victories on the mat, for example, David Avellan’s win over Rener Gracie. Two of our head instructors, Marcos and David Avellan, are Abu Dhabi Combat Club (ADCC) veterans – with David being invited four times and finishing 3rd in the World in 2009! The ADCC is by far the world’s most prestigious grappling event – only held once every two years, with five weight classes and only sixteen grapplers being invited from around the world per weight class. David has defeated several world champions, including ADCC World Champion Xande Ribeiro! On our teaching staff we also have FILA Submission Wrestling World Champion in Jason Soares! FILA is the same organization that coordinates Olympic Wrestling – it is the second most respected organization in grappling (second only to ADCC) and Jason took home the world title in Serbia 2011. Kimono Grappling or Poor Ground Grappling — Normally it is rare to find quality ground grappling but in the south Florida area there are some good grapplers to choose from. However, be aware that a lot of them are not qualified in the previous two areas! And also keep in mind that many of these grapplers train with the kimono (traditional uniform) and if fighting and self-defense is your goal – STAY AWAY. In south Florida, you are not going to encounter people wearing thick jackets. To train for self-defense, t-shirt and shorts is far more realistic. Also keep in mind though, there are still some MMA schools with non-qualified grapplers… and more will be popping up soon with the popularity of the UFC on the rise. World Class Fighting — What good is knowing striking, takedowns, and ground grappling if you can’t put it together! At FFA, our head instructors are decorated professional fighters with titles earned in the ring or cage. They have been hit in the face before and know what works and doesn’t work in a real fight – no theories, just proven facts that they can vouch for themselves. Our instructors can teach you what to expect as the adrenaline goes through your body and how to handle real fatigue as it sets in during a real confrontation – from their own firsthand experience. We have coached law enforcement seminars, military seminars, and even on the UFC Ultimate Fighter Show (twice). Mediocre or Non-Existent Fight Experience — If you have been reading this report, then you understand that hardly any schools are qualified in the three major areas of fighting… which means they are not fully qualified to teach true mixed martial arts or complete self defense… period. And be careful with the instructors who possess certifications under respected fighters but have not entered the cage or ring themselves! People like this, in my opinion, are completely nonqualified to teach MMA or self defense. It would be like taking swimming lessons from an instructor who has never jumped in the water himself! Knowing that this instructor was taught on a chalk board by a swimming Olympic Gold Medalist wouldn’t make me feel any more comfortable about his abilities! Furthermore, what does that tell you about his commitment to learning fighting and self defense? Fighting and self-defense are not all about techniques – it is also very mental… and someone who has never fought is missing out on a big piece of it. And remember, instructors with only competition grappling experience… have ZERO fight experience! They are not the same! They know the difference, that is why they have only competed in grappling! An Organized MMA Ranking System — FFA provides an organized curriculum and has thrown out the old ways of picking up ranks in different martial arts and trying to combine it on your own… a few years ago the FFA head instructors sat down and developed the ultimate style of fighting and self-defense – the Freestyle Fighting System, which incorporates the three major areas of fighting into one system. Our ranking system is strict and only people deserving of being promoted will earn it. Along with the MMA rank, our students are co-promoted in no-gi Brazilian Jiu-Jitsu. No MMA Ranking Whatsoever — From my personal knowledge, we are the only gym in Miami with a Mixed Martial Arts ranking system. Many gyms that advertise “MMA” are Brazilian Jiu-Jitsu schools that throw punches and kicks once in a while – and promote through their kimono BJJ ranking system… The BJJ ranking system has been known for years to have a very poor wrestling and striking curriculum… so if they are claiming to be qualified in MMA based solely on their BJJ rank… ask them who coached them in kickboxing and what was their credentials… ask them who they learned how to wrestle from – if they say another BJJ person, this doesn’t leave them off the hook! A Structured Beginner Course — When you start out at FFA, you will be going through a special beginner friendly course. In this class, you will be learning from an organized curriculum that balances striking, takedowns, and ground grappling. The classes are designed to work at a pace that beginner’s can absorb. The beginner’s class also takes into account that you may be totally out of shape – one of its principal designs is to get you into good shape and allow you to train harder in the next level. Student Safety — A common misconception about MMA training is that to learn effective MMA, you have to get into wild and crazy sparring matches. FALSE. At FFA, most of our students have families and jobs and can’t afford to leave the gym with black eyes! The grappling and sparring that is done at FFA is done with utmost control and in only when you are ready. Your first sparring sessions take place after you graduate from the beginner course and in the beginning you would only be sparring with an instructor or advanced student, so that you can get comfortable. The idea is to train smart and have fun. Only our amateur and professional fighters do some hard sparring – but because they have to prepare for a cage fight. Safety is our number one concern. Brawling Time! — Many MMA schools have this misconception that the only way to learn how to fight is to put on boxing gloves and swing for the fences! This is not true… and actually can be counter-productive, besides dangerous. 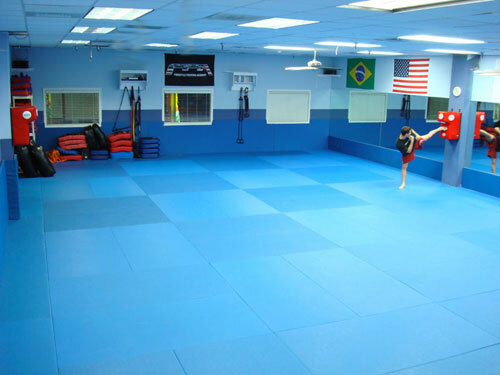 Many gyms also lack the technique to spar with control and spar hard to compensate for their lack of technique. Brawling during training proves nothing and only hinders the learning process and injures people. If you really want to brawl, save it for the street or in the cage. No Weapons Training — The vast majority of MMA gyms have no weapons training… and the one or two gyms that do offer weapons training offer very unrealistic techniques. 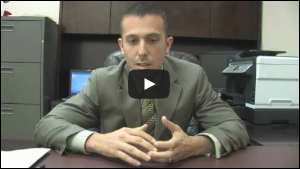 If self defense is important to you – then this is a serious issue. 30 Day Free Trial — 30 Days Free, Free Uniform, Free Private Lesson, Free Video, and nothing to buy or sign! Can’t beat that! Only One Free Class — Good luck finding another quality gym willing to give you a free month, free uniform, free video, and free private lesson! 60 Day Money Back Guarantee — What could be better than a 30 day free trial? How about a 60 Day Money Back Guarantee! No Guarantees — Even harder than finding a great free trial is a guarantee! 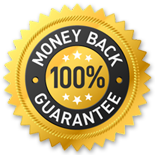 We are the ONLY gym in the country to offer a money back guarantee! Amazing Facility — FFA is one of a kind. An 12,000 square foot facility with four large mat areas, a full size boxing ring, a cage, twelve heavy bags, a Pro Shop, men and women locker rooms, showers, and much more! Plus, we are the most clean school in Miami – we disinfect our mats three times a day with hospital grade disinfectant. We also have a cleaning crew which cleans everything every morning and night. Inadequate or Dirty Facility — If you are going to learn self-defense or MMA, you are going to need certain things. For instance, for striking you will need heavy bags, punch mitts, and a boxing ring or padded wall. If there isn’t a boxing ring or padded wall – then you can’t properly learn how to strike. Why? When was the last time you got into a fight in the middle of a football field? Where ever you fight, you will encounter boundaries – such as walls, fences, cars, and even groups of people like in a club… so you need to know how to fight with your back against a boundary. For wrestling and grappling – you need high QUALITY mats. Mats are usually not a problem… the problem is that most gyms don’t clean them! I know some gyms that clean their mats only once a week with a wet towel! The gym needs to be sanitary for your health. Open 24 Hours Everyday! — FFA is the only martial arts school open 24 hours a day, seven days a week! This makes us the most accessible and flexible academy in the world. We’re making it as convenient as possible for you to train. We currently offer 82 classes a week! For those with awkward schedules, such as night shifts, you have finally found a place you can train at. We’re Closed! — A lot of MMA schools only offer classes at night and only open during class hours. Some even only teach one class per day! And most schools are not open on Saturday and Sunday. Great Customer Service — Above anything, this is what we take the most pride in. Our goal is to go above and beyond what you would expect from us. We are constantly trying to find new ways to please our students. It is hard to explain this because it is really the little things that makes our customer service stand out… you will notice it just from the way our staff will greet you when you arrive! Customer Service? — I didn’t say “bad customer service”… I think the question mark is more fitting… because most martial arts schools don’t seem to even know what customer service is! I’ve walked into schools and had staff stare me down like if I was walking in to challenge someone! Egos, bad attitudes, and insecurities fuel bad customer service. I am so confident that you will absolutely love our gym that I am willing to offer you a 30 day free trial! But to be honest with you, I’m offering you that just to get you in the door – with the first free day I know you will want to join. There is no catch. 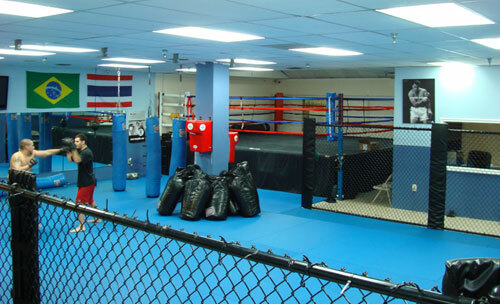 We are hands down the leading mixed martial arts gym in Miami. We are the largest and the best. We are seriously that confident. It’s a straight up 30 Days Free to try it out – nothing to sign or buy. If after 30 days you don’t like our program, you can walk away. I want this free trial to be as easy and as convenient for you as possible. Are you worried you may feel awkward trying your first beginner group class? Don’t worry, before trying out any group classes, we are going to offer you a FREE private lesson. That way you will already get a basic idea of what to expect and get a chance to feel more comfortable with the training. What about the uniform? Yup, we will also give you a FREE uniform. And on top of that, we are also going to give you a FREE video about our gym and some of our accomplishments. How about the equipment? You get to borrow it from us. There is literally nothing you have to buy or pay for in your 30 day free trial… and you can walk away from the free trial at anytime! DO YOU WANT TO JOIN BUT ARE STUCK IN A CONTRACT WITH ANOTHER MARTIAL ARTS SCHOOL? Again, not a problem. Ask for a photocopy of your contract, bring it to us, and we will credit you the cancellation fee or whatever months are left on the contract up to $400 towards your registration with us! NOTHING IS STOPPING YOU FROM TRYING US OUT! You will NEVER regret joining our gym. Why don’t other schools offer a money back guarantee? For the same reason other schools don’t offer a 30 day free trial… because they are NOT confident in their product. I am not running a charity… I offer 30 days free and a 60 day money back guarantee because I am 100% positive that if you come to my academy – you will love it. You will try us out, join our gym, and never even consider using our money back guarantee. This is not a gamble to me – I know you will love it at FFA. Our team of TWELVE instructors work together to make sure they are providing you with top quality instruction. They are experts in their fields and looking forward to passing down their years of knowledge to you. Marcos Avellan wins THE NATION’S BIGGEST TOURNAMENT… without being scored on!!! 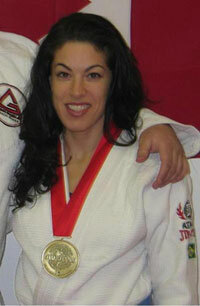 Rima Avellan selected to represent Canada in the ADCC World Championships! The ADCC is the world championships of submission grappling and is the most prestigious submission tournament in the world. Countries from around the world send their best grapplers to represent in the world championships – which are held once every two years. In the women’s division, only sixteen women are invited in the whole world – eight for the lightweight tournament and eight for the heavyweight tournament. Due to her incredible resume, Rima Avellan was selected to represent her native country Canada in the World Championships! Why did she receive this honor? Rima hit the grappling scene a few years ago and has made quite the impact in the tournament circuit. After winning and placing in several national tournaments, she flew to Brazil to compete in the World Championships of Brazilian Jiu-Jitsu (the Mundial). She was the first Canadian ever to medal in the Mundial! 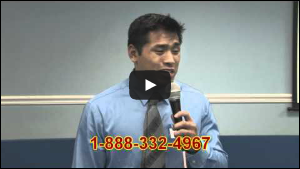 Call us today to setup your first free introductory private. Our number is 305-225-4610 and any of our staff can setup your appointment. The private lesson is with one of our instructors who have years of training and experience. In the private, we explain what we teach and go over some of the basics. After the private, we sit down, go over our different programs, and develop a program that works best for you. Please click only once and wait…may take about thirty seconds to process. Don't Leave Empty Handed, Get a FREE VIDEO! To Get YOUR Free Video, Enter Your Information Below To Get Access To The Free Video Page!